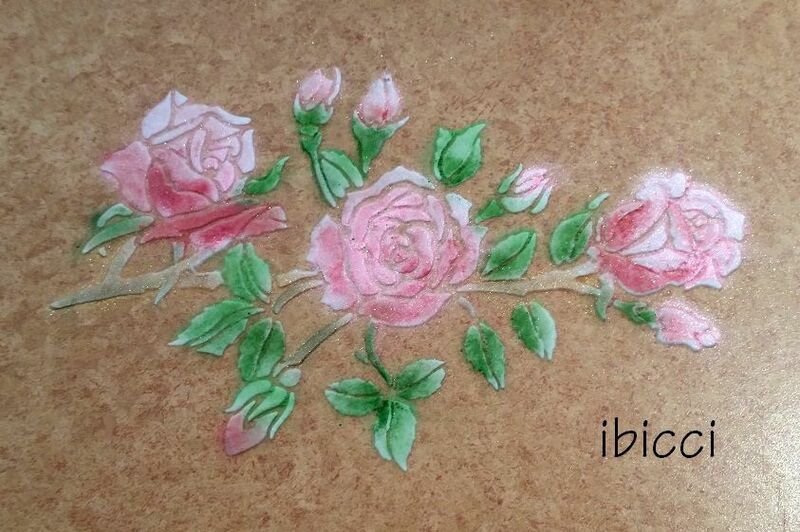 The first design in the ibicci Roses Collection, this was hand drawn by Kat after a Custom order was received by a NZ Caker. You can see a Work in Progress shot below. 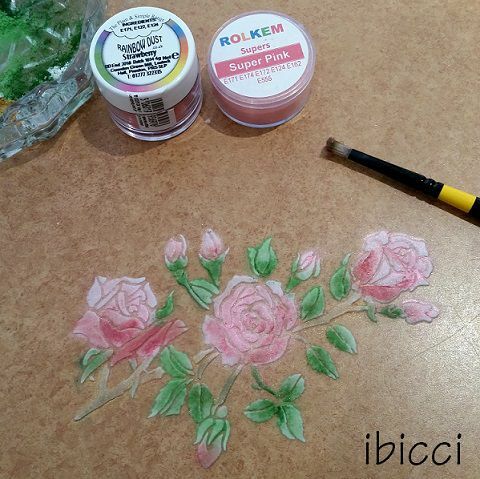 Please note that at this stage, these Rose Spray stencils are only available in one part - we expect to have them in 4 part form soon. 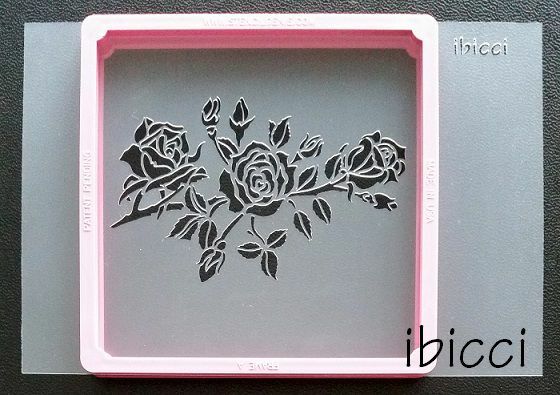 The ibicci Cake Stencils measure approximately 11.75"x8.25” / 30x21cm and most designs are cut to allow the stencils to be trimmed as required for placement on the sides and tops of cakes.